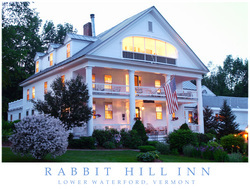 Welcome to the Inn and Bed & Breakfast informational site of architectural photographer Peter Finger. I have been photographing inns for over a decade and bring a wide variety of photographic services to innkeepers. I have been a professional photographer for over 20 years. My fine arts background gives my images a unique artistic vision. I was trained as both a fine arts painter and photographer with dual majors. I am easy to work with, very flexible regarding my packages ( we tailor design them to fit your needs and budgets) and provide long days of photographing. My day begins at dawn to capture the best light of the day and end with another "magic light" session at dusk. I even make sure we can photograph your inn at night for even more important shots. Inn photography is a specialized art form. With me you get both a photographer and stylist ( sometimes I travel with a second stylist ). Please browse all of the pages on my site. I love to photograph inns and love to work with innkeepers.